With the exit poll results expected within the hour here's a quick rundown of the candidates... and their chances of securing government. 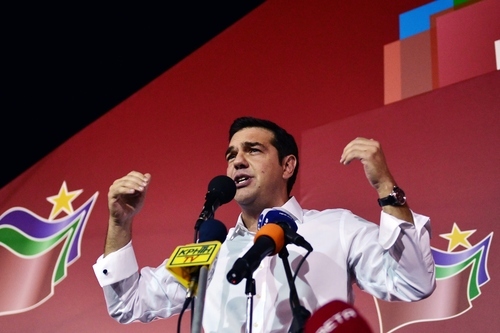 CNBCThere is a strong chance that the gamble to secure a mandate by former prime minister Alexis Tsipras could backfire. 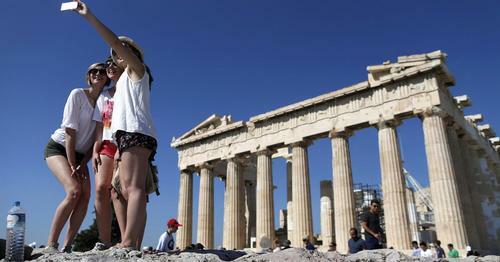 It looks as though Alexis Tsipras will be hit at the polls - CNBC's Holly Ellyatt explains why. 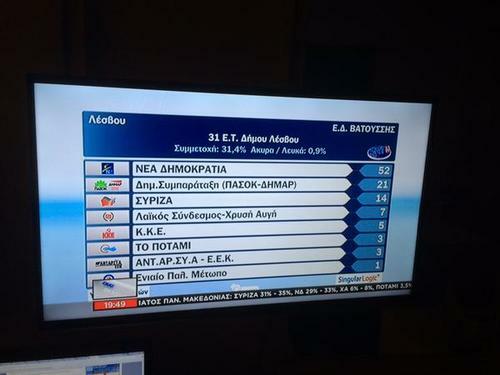 Leftwing Pasok - once a leading force in Greek politics garnered only 6.25% of the votes according to the exit polls. 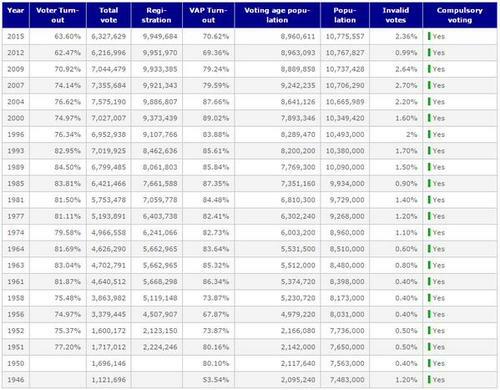 Although there is still some - albeit very small - chance that New Democracy could be the leading party, neither it nor Syriza have enough votes to secure an overall majority. So let the coalition talks begin. Just to be clear, that's the far-right coming in third. 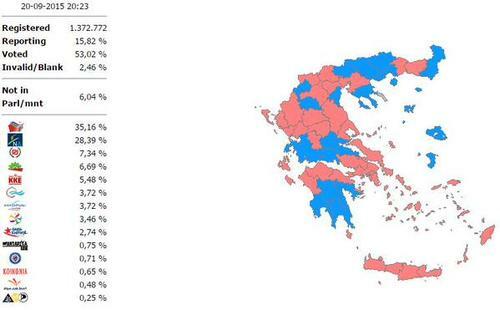 #Greece ND sources say exit polls is not their basis. "We will wait for the final result to make the general assessment"
Dow Jones have calculated that the Greek parliament could consist of up to nine parties. 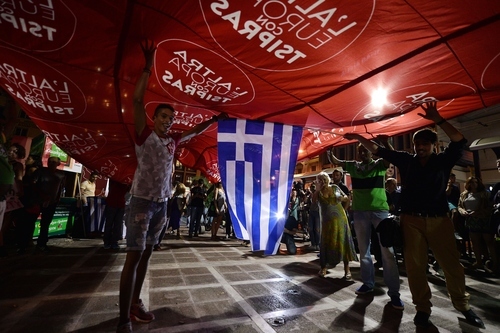 Latest: New Democracy leader Vangelis Meimarakis says he has called to congratulate Syriza leader Alexis Tsipras on win. 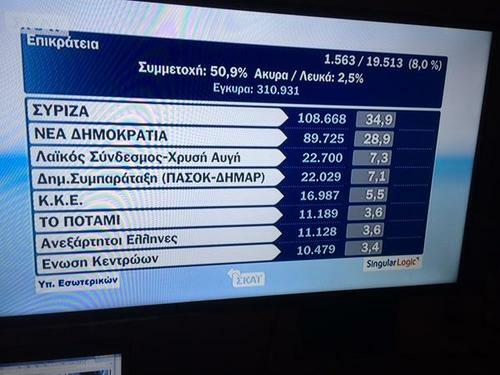 Interior Ministry now calling a "clear victory" for Syriza with 31 per cent of the vote counted. 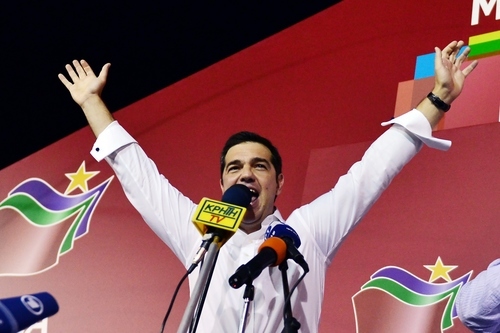 And here we go: Greece has a new government. 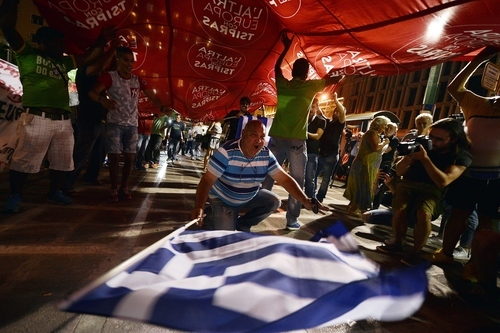 : Syriza and Independent Greeks confirm coalition government of 155 seats. 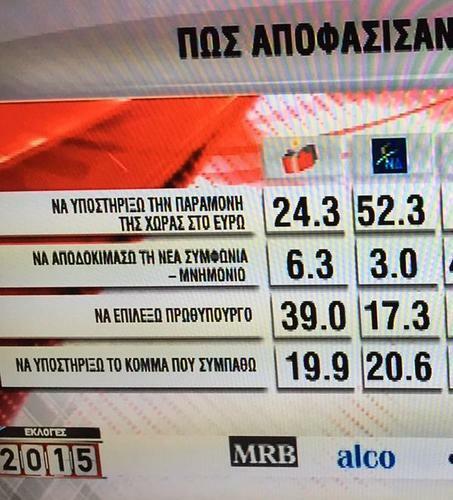 Skai TV reporting they expect voter turnout to be less than 6 million - out of a 9,836,997 eligible voters - that's 4,763,084 men and 5,073,913 women..
Syriza spokeswoman: Syriza will continue implementing the terms of the bailout while continuing the tough negotiations over the conditions, Reuters reports. Leader of the right-wing Independent Greeks Panos Kammenos announces that he will form a coalition government with Syriza, according to newswires. 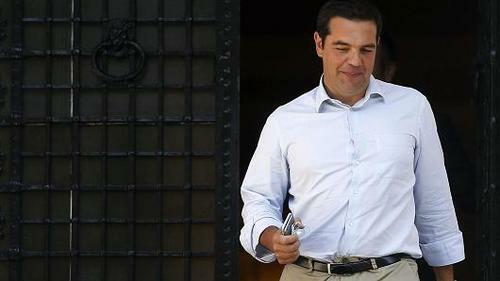 Greek media are reporting that the new government will create a ministry dedicated to the bailout program. 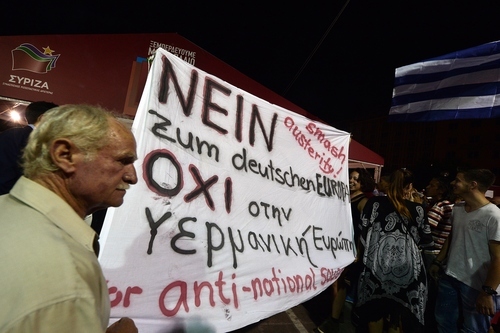 the fight in and out of Greece. In Europe today, Greece and the Greek people are synonymous with resistance and dignity, and this struggle will be continued together for another four years. We have difficulties ahead, but we are also on firm ground. We won't recover from the struggle by magic, but it can happen with hard work. Another SYRIZA-ANEL deal also means that the cabinet will once more be composed of politicians with limited capacity and competence, as demonstrated before. While the government can most likely continue to rely on mainstream parties for support during key votes, implementing the approved measures will remain challenging. 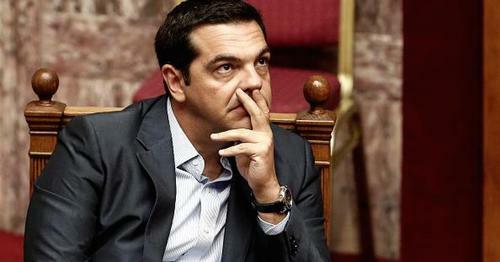 Looking ahead, this situation poses the key risk for the relationship between Greece and its lenders, especially as ownership of the bailout remains non-existent: Tsipras has been rewarded for presenting himself as a critic of the bailout, and another deal with ANEL indicates that he will not move on this front. And as Asia wakes up and things wind down in Europe, that's all for our liveblog. Thank you for joining us.